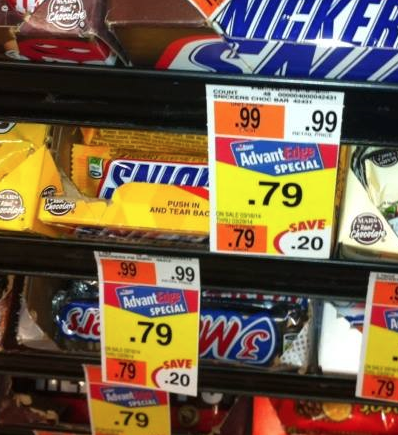 Price Chopper: Peanut Butter Snickers $0.04! These are nice for Easter baskets! .79 X 2 = $1.58 - $1.50= 2/8 cents.